On the occasion of the 20th anniversary of the Spanish Association James Joyce, the University of Seville organizes a commemorative international conference to celebrate the meeting of the founding members of the Association, spread new voices of Joyce’s legacy, and enjoy his work in the unparalleled setting of the University of Seville. 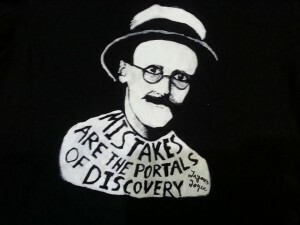 We kindly invite prospective participants to send their proposals in English/Spanish concerning the prolific and extensive literary world of James Joyce which includes new critical insights about the Irish writer or Irish Studies in general. Submissions should be sent to xxxencuentrosjamesjoyce@gmail.com no later than 18th February 2019.  Title, key-words and abstract (250 words).